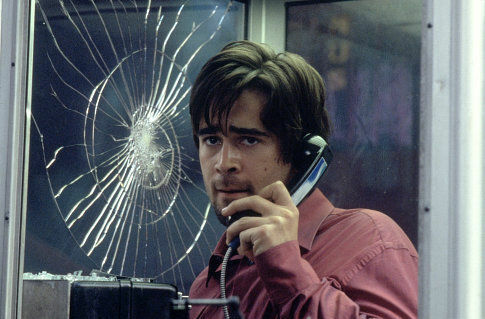 Picking up a ringing phone is one of the most everyday things in life, but for Stu (Collin Farrell), it could be the thing that ends it. Set entirely around the confines of a phone booth in New York, this film is pure entertainment. Stu, a wheeler-dealing media consultant, gets trapped in the booth, after being told by an unknown caller that he will be shot by a sniper if he leaves. This film works on so many levels. First of all, I think how it takes something so mundane and fills it with threat is really clever. Here the film plays with the idea of answering the ‘wrong number’ and makes it something to be feared. Also, Stu isn’t a nice guy, to begin with, so we don’t feel sorry for him at first. But as the caller gets more and more twisted, we grow to care for Stu, because of the extreme nature of his situation. Phone Booth is tense throughout, combining action and claustrophobia. Farrell is excellent, able to carry the audience and the suspense. 81 minutes. With a care-free honesty, The Squid and the Whale shows the effects a divorce of two parents has on their sons, Walt (Jesse Eisenberg) and Frank (Owen Kline). If you like dramas centred around families, then you should definitely check out this film. It has an edginess and an emotional distancing, which makes it stand out. There isn’t a single likeable character in this film. In fact, I don’t really know if I was supposed to feel anything for the family when I watched it. They’re not a bunch of complete arseholes or anything, but they are all horrendously irritating, yet somehow you get behind them. So, this film succeeds in making unlikable characters extremely engaging and enjoyable to watch. All in all, The Squid and the Whale is about the breakdown of a family, how household tensions are pushed to the limit, and if there is any hope left to rebuild. 81 minutes. Found footage can be a cheap gimmick and personally, I normally don’t like it being used in any film. But in Chronicle, it works very well and contributes to the overall tone of the film. Director Josh Trank uses this style to shake-up the superhero origin story, that we have all seen a hundred times. Chronicle is a grounded take on what would happen if three teenagers were given superpowers. Initially, the three high school seniors, Andrew (Dane DeHaan), his cousin Matt (Alex Russell) and their friend Steve (Michael B. Jordan), use their powers to prank people and cause mischief. From a fairly ordinary beginning, Chronicle swings into a thrilling and highly entertaining movie. It explores how the teenagers’ abilities start to mess up their lives, particularly for one of them, who becomes increasingly disturbed as time goes on. It all ends in a great climax that you don’t see coming. This film demands your attention. 83 minutes. An uplifting and natural tale of inner-city kids, Gimme the Loot fuses youth culture with a New York setting – two classic film staples. Malcolm (Ty Hickinson) and Sofia (Tashiana Washington) are graffiti artists, who decide to get back at rival taggers, who ruined their latest work. There’s an easy, cool swing to the story, which takes no effort to get into. Malcolm and Sofia are always on the move, running all over the streets of New York in search of a much-needed $500. Their big plan is to “tag” the Home Run Apple sign at the Mets’ stadium, so they need the money for off-hours access. Their satisfaction will come from knowing that they were the first people to tag the Mets Home Run Apple in its entire history. Fresh and current, with a likeable energy (our heroes aren’t perfect, definitely no stranger to the occasional theft), Gimme the Loot is a unique little film. It never gets bogged down in needless sentiment, keeping the focus on the characters finding that loot! 79 minutes. 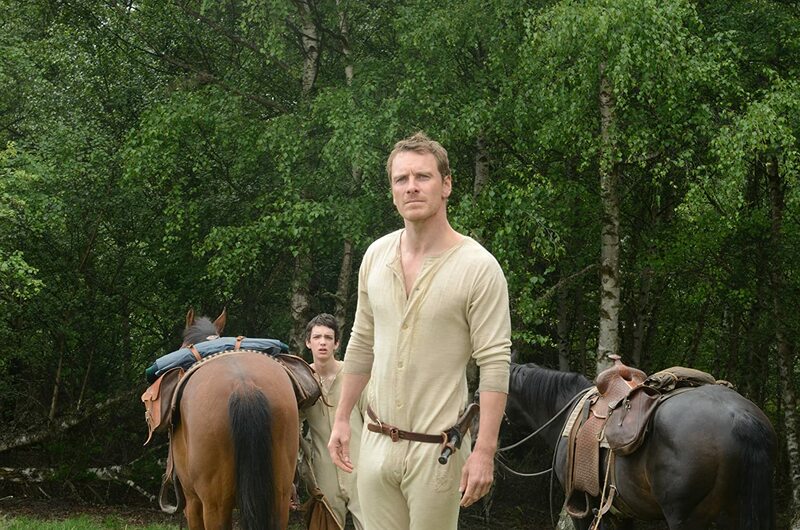 Michael Fassbender goes full badass in Slow West. Here he plays the effortlessly cool gunslinger, named Silas Selleck. Joined by the young Jay Cavendish (Kodi Smit-McPhee), the pair go on a journey across the American West to save Rose Ross (Caren Pistorius), from a group of bounty hunters who are gunning for her. Rose is the love of Kodi’s life, so it’s a do or die situation for him. The film plays out in typical heroic, Western fashion, but it also has elements of coming-of-age, with a little Coen Brothers’ No Country for Old Men mixed in too. Like the title states, this film moves at a slow pace, so it’s tricky to get into at first. But after a while, Slow West takes things up a gear and it becomes so much fun to watch. This film has an army of great characters and brisk, explosive action. The main villain, played by Ben Mendelsohn, is a classic bad guy, donning a ridiculous overcoat that actually makes him look more menacing. Slow West is a fun, wild adventure that ends with a bang. 84 minutes. I do prefer longer films, to be honest, but a movie that clocks in under 90 minutes can still be great. The films I have listed are good for any occasion, getting you in and out when time is short. Be quick to check these five out. Other films under 90 minutes, that are more well-known include: Stand By Me, The Evil Dead, Cloverfield. So, how many of these films have you seen? What’s your favourite film under 90 minutes? Let me know your thoughts in the comment section! I’ve seen Maniac, that was pretty good. Yeah and be sure to check out the other two! only seen squid and the whale and slow west, but loved both of them! nice picks, will have to check out the others! Recently I absolutely loved My Life as a Courgette and that’s only 68mins long!